Last week we were privileged to be able to welcome record breaking adventurers Simon and Lisa Thomas to our offices in the UK. Back in 2003, looking for a break from their day-to-day lives, the couple set off on what they expected would be a 12 to 18 month trip. 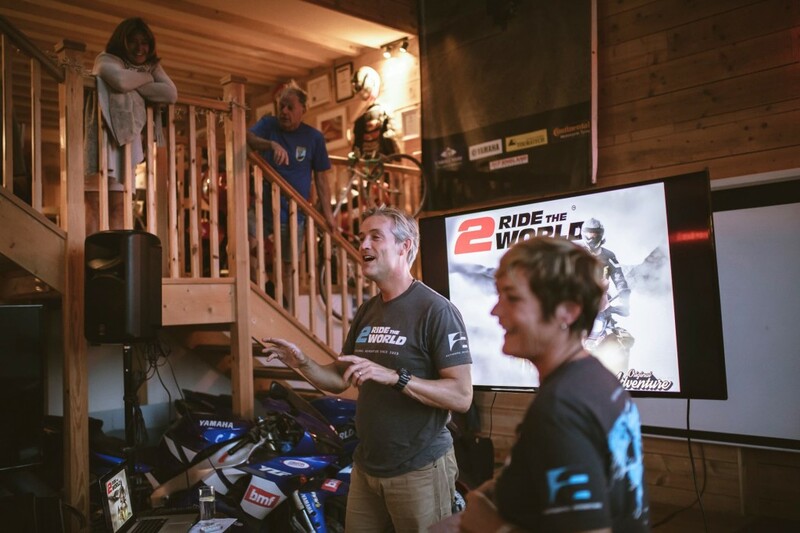 Fast forward 12 years, and after covering more than 400,000 miles their BMW GS bikes ended up in a museum in America, and a generous benefactor sent them on their way on two brand new machines and the journey continued. Since then, they’ve passed the half-million mile mark, and after 15 years they recently returned to Britain for a brief period. Long before they became ambassadors for Continental, Simon and Lisa were big fans of the TKC 80 Twinduro – the industry benchmark when it comes to dual-sport tyres. The TKC 80 has proved to be the most versatile option for the type of riding they do, allowing the couple to tackle a wide range of terrain around the world. This entry was posted in News and tagged 2ridetheworld, Adventure, Off-Road, Overland, TKC 70, TKC 80. Bookmark the permalink.